Now you have it, now you don’t! This is one of my daughter’s favourite meals ever!!! Try it with your kids, they will love it♥. Assembling the flan is always fun, but demolishing it is great ;D. I’m using the 3 Joust ingredients of the month: Rice, bacon and tomatoe… there’s so many possibilities with them. What? you don’t know what the Joust is? Go and check here! There’s fantabulous prizes and lots of fun!!!! You only have to cook a dish with these 3 ingredients, post it in your blog and send it over to the Forum. C’mon, join us!!!! 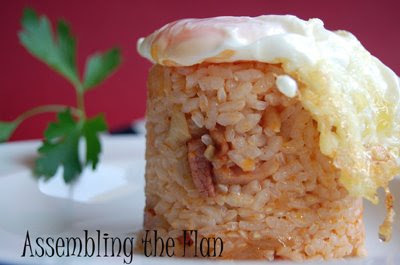 Rice is such a versatile product :D, one of my favourites! I can cook a paella with it, dye it in black, pour it in a soup, make little balls out of it and combine with other flavours… I love it! 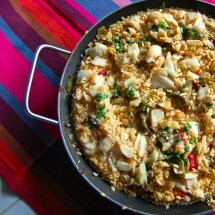 That’s why I’m sending the dish over to Meeta’s Monthly Mingle: Ravishing Rice. I bet you have tones of dishes to send too! This month, the event is hosted by: Edible Garden , a beautiful blog I just discovered. And now, since I promised you a picture with the Joust Apron on… here you have it! 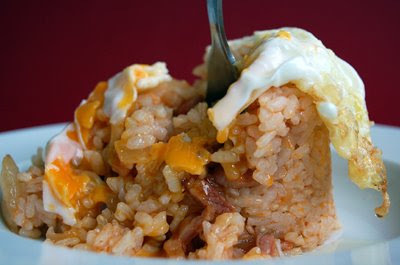 Ingredients for 4 servings: 400 grs of rice (extra or bahia type), 200 grs of bacon in strips, 4 eggs, tomatoe sauce (4 tablespoons), 1 onion, 1 garlic, some olive oil and salt. Get some water boiling in a pot. Add some salt and when boiling throw the rice in. When the rice is done, strain and reserve. In a big Teflon frying pan, pour some oil and saute the bacon, when golden, reserve. In the same oil saute the chopped onion and when transparent throw the garlic in. Immediately after pour the tomatoe sauce and stir for 3 to 4 minutes at medium/low heat. Add the bacon back and pour the rice in. Stir for less than a minute at low heat and it's time to get the flans assembled. Once you have them ready, fry the eggs and lay them over the flans. They are now ready for the demolition!!! I love the way that egg yolk is oozing down. I can see him just loving this, despite being an almost grown-up! 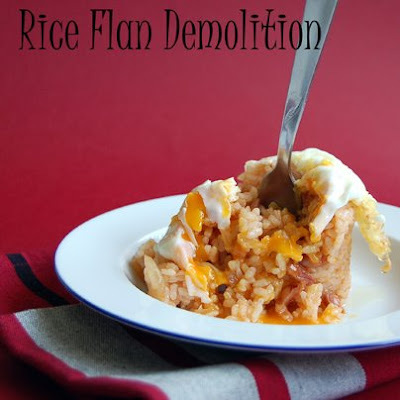 Another awesome recipe, Nuria! I love all these creations you have been coming up with using the Joust ingredients! Looks so mouth-watering! 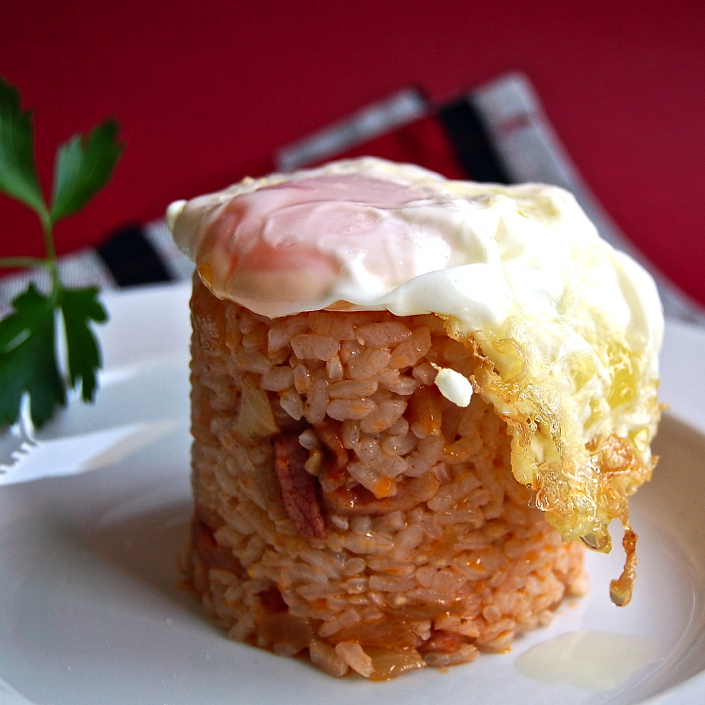 The yolk+rice…yumyum! What kid would not love rice & bacon? The recipe sounds delicious and you look great in your apron. T’ha quedat genial. M’agrada molt el arros i el teu flan es veu delicios amb el ou. thanks for the awesome entry Nuria :) I love that this month’s MM is making me meet people from all over. Guapissima Nuria! you look beautiful in your apron…and your recipe for this Joust entry is wonderful! Nuria, all good things must come to an end..including the flan…YUM! Again, congrats on your Joust win (overdue) and it’s nice to see you in your kitchen. 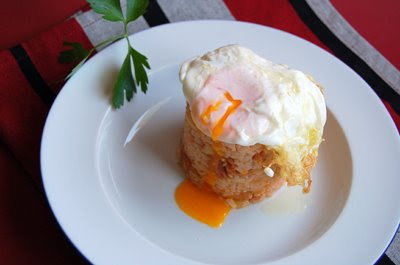 Great Joust entry – wonderful presentation and flavors, I love the eggs on top! Excellent! 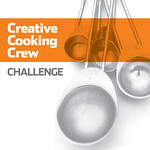 Hey, leave some dishes for us to create with your Joust ingredients!! Gràcies Bonica! No té cap secret i als nens els encanta :D. Petons per tu també. Mercè, he de reconeixer que a mi també m’encanta ;D. Gràcies guapa! Hola Peter… gracias chico! I longed for this apron for long!!!! Thanks a lot 5 Star Foodie! congrats on the award! your blog is truly great! I love this deconstructed rice pudding! Esta bellisimo y se ve absolutamente delicioso! Ivew been absent. Forgive me. I love this dish and congrats! 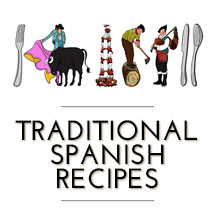 Lovely recipes! This is my first time on your space and the recipes are beautiful!! :) Your blog is gonna be my “goto blog” for all Mexican /Spanish recipes! 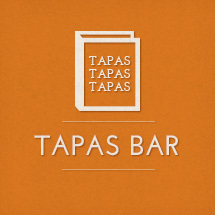 I don’t have to be sad anymore that there are very few restaurants in Singapore serving Spanish fare!